Blrt was created and developed entirely in house at Thinkun. 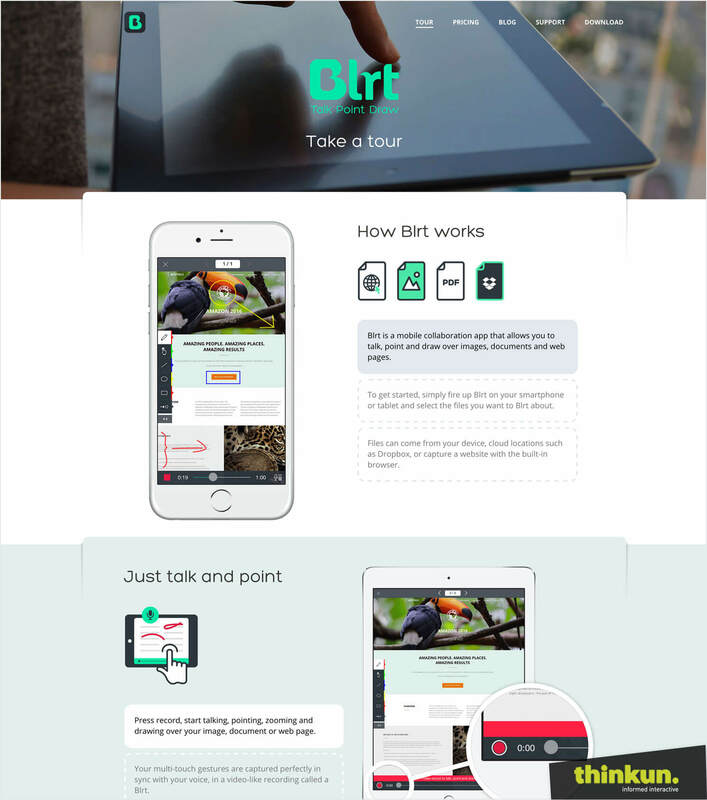 Blrt enables users to talk, point and draw over documents, images and websites in order to get everyone on the same page in cloud-based conversation. These Blrt conversations are asynchronous, meaning you no longer need the entire team to be available at the same time to keep your collaborations progressing. 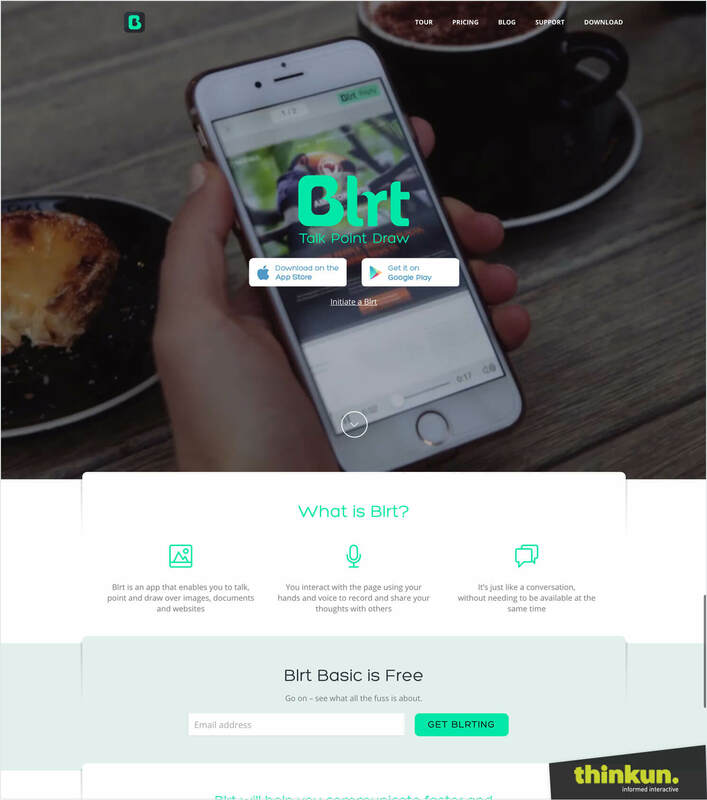 The development of Blrt included mobile apps on iOS and Android, as well as branding and the development and execution of a comprehensive digital marketing strategy. 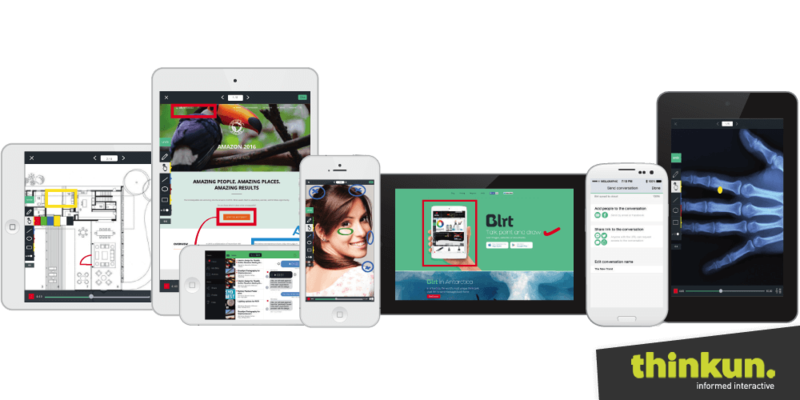 The cornerstone of this strategy is a responsive website that incorporates mix in video and explanatory imagery to demonstrate typical use cases. The site was built with WordPress and delivers a superb customer experience that is standardised across all devices and screen sizes. We also developed and continue to execute a content and social media marketing strategy centred around short and long form blog content. Traffic is driven to the website through SEO practice built on experience and a ‘sense of place’ that has been cultivated from observation of real-time analytics. This not only optimises conversions, but also delivers a superb user experience.